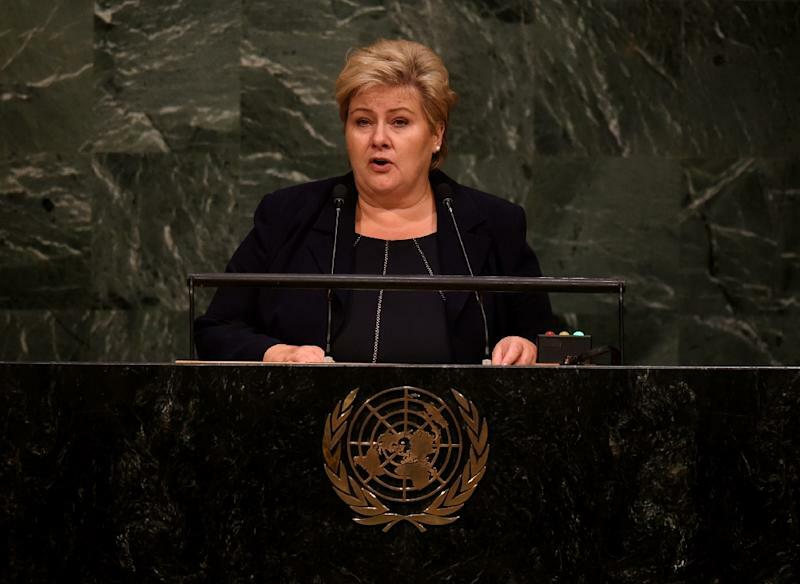 Copenhagen (AFP) - Norwegian Prime Minister Erna Solberg on Saturday said she feared for Europe's borderless Schengen zone and urged countries to shore up their external frontiers in the face of the migrant crisis. "The challenge for the Nordic region is not an internal one, but the fact that Schengen's outer borders have broken down," Solberg said. "We must now make sure that the outer borders work," she added as Europe struggles to cope with its worst refugee crisis since World War II. Solberg, whose Conservative Party is in a ruling coalition with the anti-immigration Progress Party, echoed concerns over Schengen expressed by French President Francois Hollande on Thursday. Speaking to AFP, Hollande said Schengen was "in danger" due to the absence of registration centres to distinguish between refugees and economic migrants as EU states seek to share out some 120,000 asylum seekers, most fleeing the war in Syria. Hollande said if there were no controls at the EU's external borders, states would feel obliged to restore national borders and controls "and it will be the end of Schengen." Solberg was speaking after a joint meeting with colleagues from fellow Nordic states hosted by Denmark. Norway controls an external EU frontier with Russia, a border which has been crossed by more than 250 Syrian refugees so far this year. Sweden's Social Democratic Prime Minister Stefan Lofven said "all those who have the right to asylum should be given it. Those who do not have the right should be sent back." And Danish counterpart Lars Lokke Rasmussen, a Liberal, agreed, saying: "Those who do not need protection should be sent back as quickly as possible." The crisis has sparked some disagreement between the Nordic states with Stockholm criticising Copenhagen for waving through some migrants to Sweden to make asylum claims. Finland then criticised Sweden for doing the same in allowing a group of mainly Iraqi migrants to cross the border to make their own claims.